Terry Gould is an investigative journalist whose best-selling books and articles on organized crime and social issues have earned over 50 awards and honors from numerous foundations, including the J. W. Dafoe Foundation, Canadian Association of Journalists, Canadian Journalists for Free Expression, Crime Writers of Canada and National Magazine Awards. Tributes to Gould's crime reporting include being chosen to give the keynote speeches at classified conferences of the Criminal Intelligence Service of Ontario, the Criminal Intelligence Service of Alberta, the Conference of Senior RCMP Officers, the RCMP Officer of The Year Awards Ceremonies and the 2010 Western Canada Conference on Gangs. Gould often teaches law enforcement officials on the science of recruiting and handling informants and intelligence gathering. 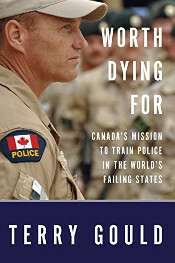 Gould's most recent book is Worth Dying For: Canada's Mission to Train Police in the World's Failing States (2014), winner of the $10,000 J. W. Dafoe Book Prize for the best nonfiction book on Canada, Canadians, and/or Canada's place in the world. Published on the twenty-fifth anniversary of the RCMP's first international police training mission, Worth Dying For is a brilliantly reported account of a year in the life of our "CivPol" contingents in Afghanistan, Palestine and Haiti. 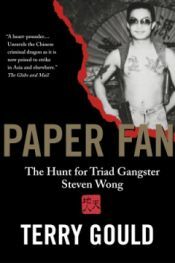 It is also an intimate portrait of the idealism and courage with which our police officers undertake this complicated and dangerous work, brought to us by the only journalist ever granted unfettered access to these missions. Gould captures the remarkable dedication that Canadian police officers bring to international missions most of us know little about. We may be aware of the sacrifices made by Canadian soldiers who died in Afghanistan, but how often do we stop to ask what happens after the troops move out? Once the war is over, how do countries with so much going against them begin to create a better life for their citizens? Gould has come to believe that the most significant tool in securing justice and stability for people living in states in crisis is a police force resistant to influence and corruption. He brings to light the remarkable Canadian men and women working in three crucial missions, whose determination was equal to anything these treacherous places threw at them. They risked their own physical safety and they also witnessed police officers they had mentored sacrificing their lives so that their fellow citizens could receive justice. Worth Dying For is full of terrible realities, but it is also full of heroes-Canadians, yes, along with men and women raised in places that might have turned them into pawns and victims, or criminals, who strive to create a reliable security net for everyone, no matter the odds or the dangers they face. 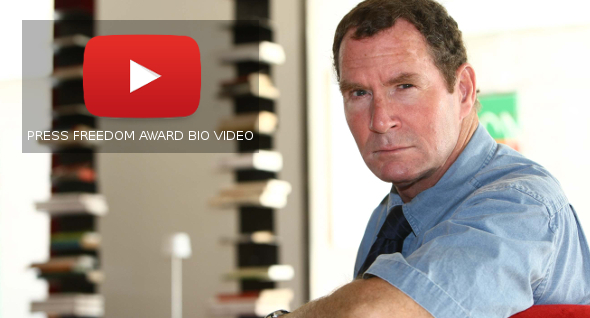 In covering these missions Gould has created a work that inspires us to action, and to hope. 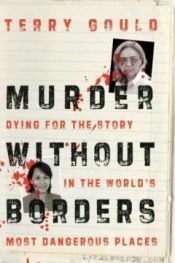 Gould's previous book is the critically acclaimed Murder Without Borders: Dying for the Story in the World's Most Dangerous Places (2009), published in the United States as Marked for Death: Dying for the Story in the World's Most Dangerous Places. 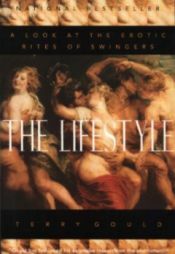 The book has won the Canadian Journalists for Free Expression 2009 Tara Singh Hayer Press Freedom Award, the Crime Writers of Canada Arthur Ellis Award for Best Non-fiction book of 2009, and Spain's 2010 Jose Maria Portell Press Freedom Award. It is the first book to recount the inner lives of local journalists assassinated in the five most murderous countries for reporters. During four years of research, Gould visited the victims' hometowns to interview their colleagues, families, and--in some cases--their suspected killers. In Iraq, the Philippines, Russia, Colombia and Bangladesh he reveals the journalists' deeply personal motivations for risking certain death in the face of unbridled corruption and violence. Joel Simon, Executive Director of the Committee to Protect Journalists, has described Gould's book as "a book of love and passion. The portraits of slain journalists who reported from the world's most dangerous places are unquestionably tragic, but this book is uplifting and even inspiring. Through his meticulous reporting and his compassionate storytelling, Gould performs a small miracle, a literary resurrection, allowing journalists so cruelly killed to tell their own stories completely and honestly."